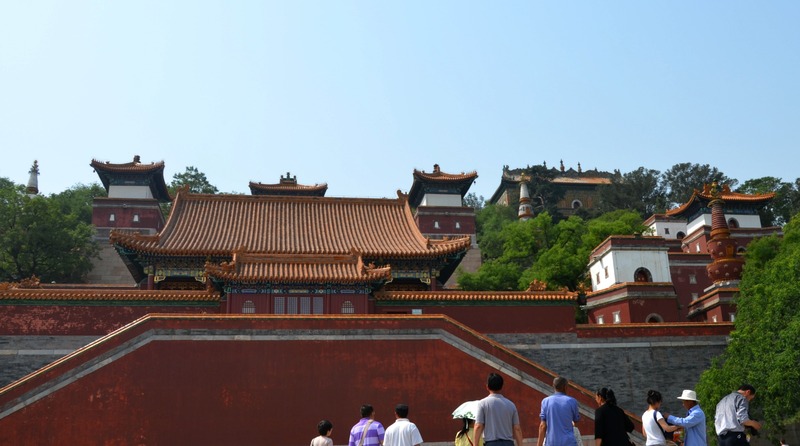 The immense Forbidden City was an eye-catching place to visit. 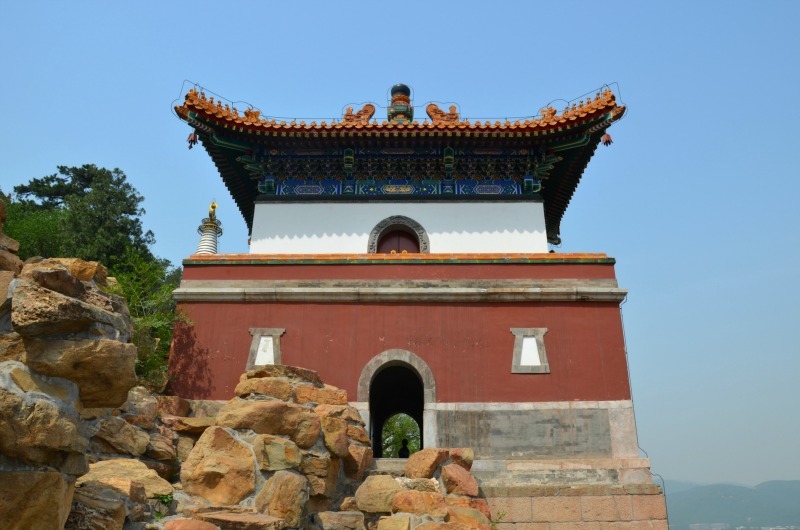 But the Summer Palace is an equally worthy visit – especially since it was expanded by Empress Dowager Cixi, who diverted imperial funds to make it even bigger. 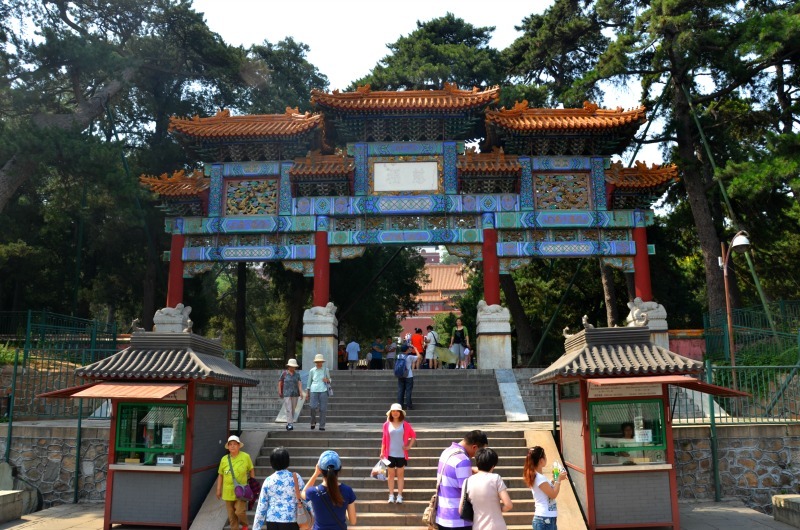 As you walk up towards Longevity Hill, the scale of the palace is bigger than I realized. 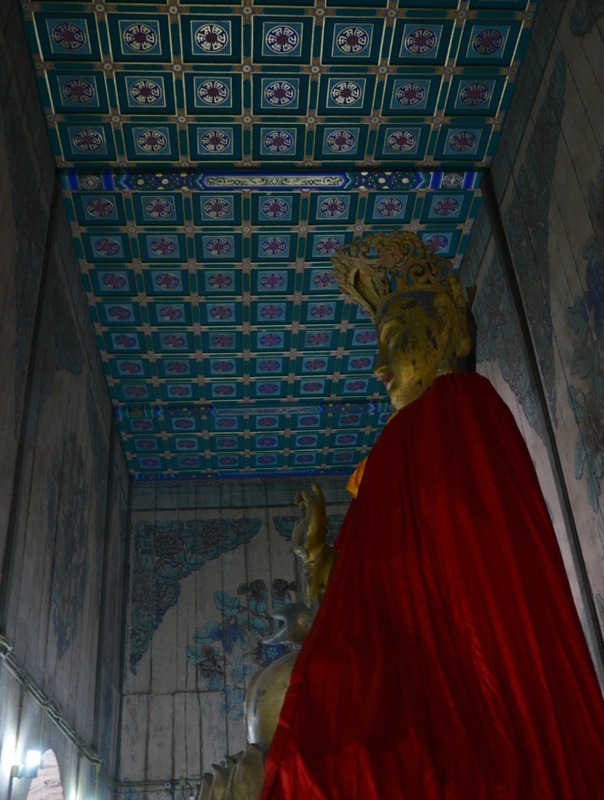 Its a grand place, worthy of monarchy, especially the Empress, to insure the right degree of servitude upon entering. 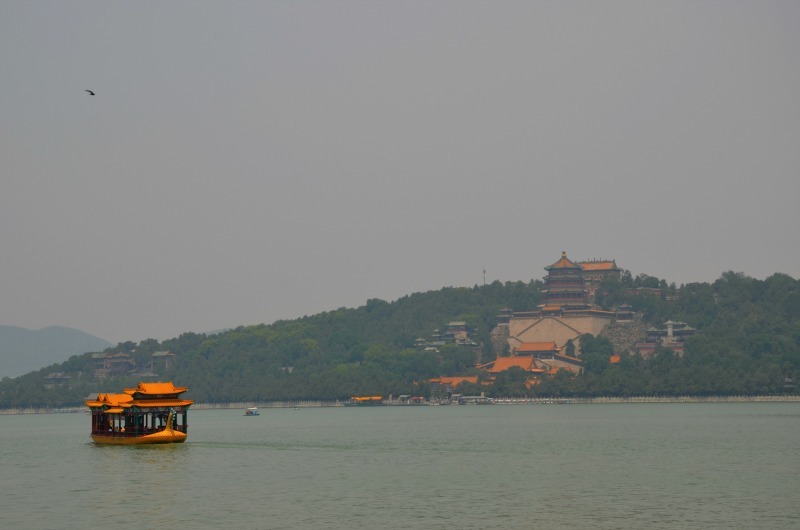 Despite the crazy temperatures and as you can see, polluted air, the Summer Palace was breathtaking. Filled with amazing buildings, temples and an art gallery, its a place to spend the morning or afternoon, imagining this as the idyllic summer home. Wow, this looks like an incredibly serene place! Making a note for when I visit China! Lovely spot – but way bigger than I anticipated!